Active Foundation member and former board president, Terrance J. Brown, FAIA, was recently honored with the American Institute of Architects’ 2016 Kemper Award. He is the only architect in the history of the AIA to have received both the Kemper Award and the Whitney Young Jr. Award (2004). Named in honor of the AIA’s first executive director, the Edward C. Kemper Award is given annually to an architect who has contributed significantly to the profession through service to the AIA. The AIA Board of Directors bestowed this honor on Terry, for putting his architectural and leadership skills to work helping people be safe, recover and rebuild. Over the course of many catastrophes in four decades, Terry has personally trained more than 1,000 U.S. and Canadian architects in ways to mitigate and recover from earthquakes, tornadoes, terrorist attacks and other disasters. 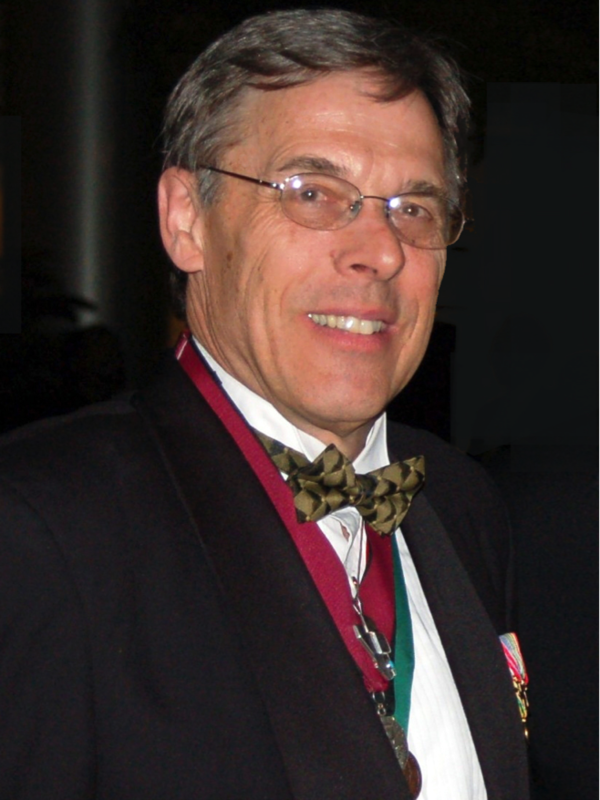 Terry’s expertise in disaster-related work was instrumental in developing programs that specifically prepare architects for work in disaster preparedness and recovery. These efforts culminated in 2005, when he led an initiative to add emergency response training to the profession’s previous focus on relief and recovery. This included disaster response programs, training and credentialing for architects on disaster assistance, and an outreach program that helps governments and citizens understand the pivotal role architects can perform after a catastrophe. His hands-on work continued with Hurricane Katrina in 2005, the devastating earthquake and tsunami that hit the coast of Japan in 2011, Colorado wildfires in 2012 and floods in 2013. In April 2015, materials that he and others on AIA’s Disaster Committee were made available online to Nepalese and Asian architecture associations. Upon graduating from Texas Tech University’s architecture program in 1969, Terry was commissioned a 2nd Lieutenant in the Army Engineers and served in Vietnam, flying daily helicopter missions. He was awarded the Bronze Star and other honors during his service, and chronicled daily life in an illustrated war journal that he wrote and drew. In 1976, Terry was in Guatemala when a devastating earthquake hit. While helping care for survivors in the Department of Sacatepequez hospital, he and others learned the building was in danger of collapsing from aftershocks. Terry volunteered to set up a field hospital in a soccer field to house hundreds of the injured, and so began his work in utilizing his architectural and leadership skills to keep people safe from disasters. Brown’s history in Latin America was recognized by President Ron Skaggs, FAIA, who appointed him as AIA’s liaison to the 95-year-old Federation of Pan American Architect Associations (FPAA). He served as the North American Secretary of FPAA. A Corrales resident, Terry has worked in New Mexico as an architect since 1986. His practice includes many years at Native American firms creating culturally sensitive housing, award winning health care, civic and educational facilities that have improved living conditions for Native Americans from Montana and South Dakota to New Mexico and Arizona. Terry worked for 10 years with Louis L. Weller, FAIA, 2000 Whitney Young Jr. Award recipient. He recently designed a Native American Cultural Center for New Mexico State University. Terry is a 1969 Texas Tech graduate with a Bachelor of Architecture Degree. He and his twin brother, Morris, also a ’69 grad and professor of architecture at the TTU Campus in El Paso, TX, are the only twin Fellows of the American Institute of Architects and both are recipients of the TTU College of Architecture and Planning Distinguished Alumni Award.